For more than 25 years of service, the team of Refrigeration Luc Daigle has come a long way. From the general mechanics garage in St-Dominique , the company is now one of the major players in the refrigerated transport industry. Retrospective on the highlights of the company. Foundation of Garage Couillard and Daigle inc., which later becomes Refrigeration Luc Daigle inc. The company obtains certification to become a Thermo King dealer. Luc Daigle fully takes the company’s orders. The Company moves to a larger commercial space, in La Presentation, along Highway 20. 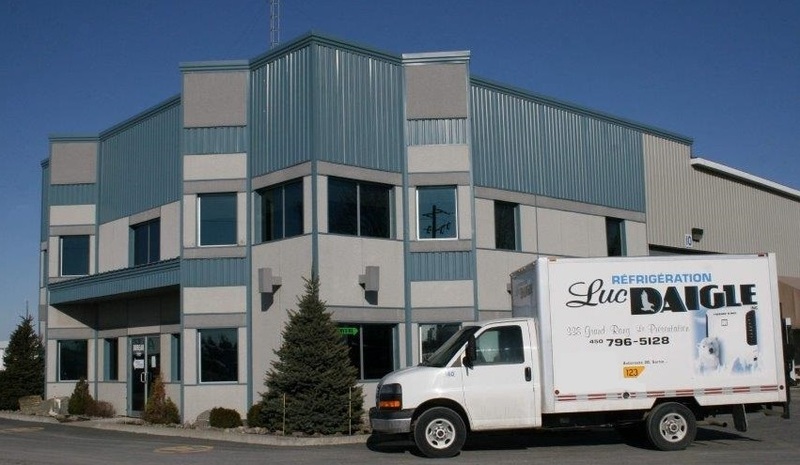 The company now appears under the name of Refrigeration Luc Daigle Inc.
Luc Daigle expands its rental service for short and medium time periods. The company is now a partner of Carrier Transicold, which corresponds to its strategic vision. At Refrigeration Luc Daigle, the team offers rentals and sales of refrigerated trailers, as well as services and installations of refrigerated equipment. The team also manages a full range of new and used parts for a large variety of reefers. Furthermore, the company has more than 10 service doors to accommodate the increasingly growing number of customers.